Due to it´s dark colour, it´s changing colour and the intense bright, Chestnut Quarter Cut Fumé is a singular material. It makes possible to transform furniture and boards into be serious and elegant elements. It´s natural luster and sweet brown colour is eyecatching and easy to distinguish. This very special wood veneer is mainly used to decoration of public zones in offices and hotels of the highest levels. Chestnut itself is one of the better known wood species. It´s lumber is very much appreciated for being durable and easy to work with both hands and machine tools. 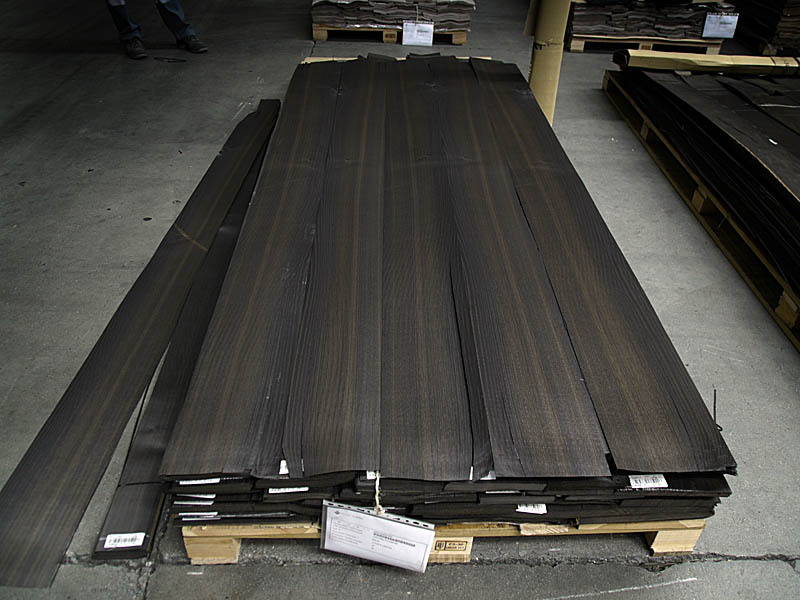 As a decorative material, chestnut veneer has a clear surface that varies from light to medium brown in heartwood. Sapwood is lighter and well defined but it is usually removed. Chestnut wood is soft but also resistent and durable. Chestnut veneer has a classical colour and decorative grain which is very much appreciated in the south countries of Europe. Over this extraordinary material, CHANNEL VENEERS has played the fumé technique to define a new product. 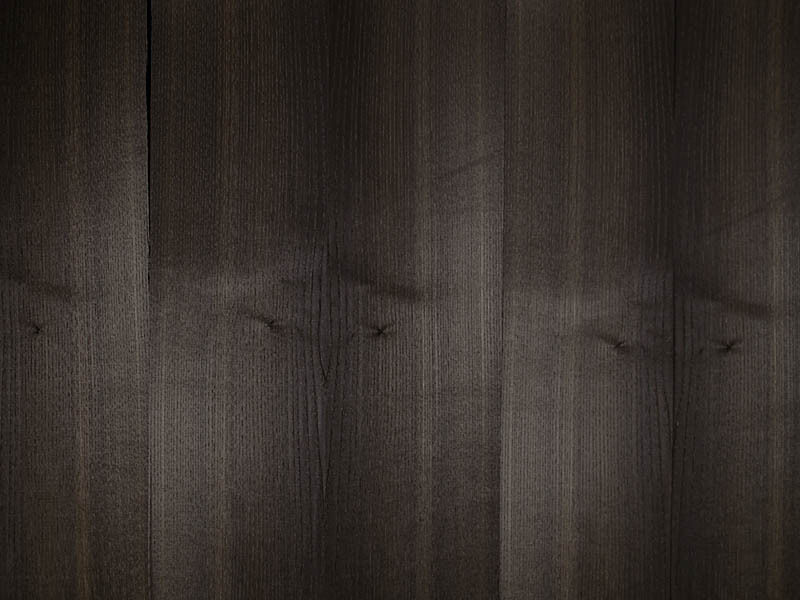 Much darker and glossy than the natural wood, the Chestnut Quarter Cut Fumé is a veneer full of refinements. The surface of this veneer shines and changes it’s colour delightfully depending on the light and the direction from which we are looking to it. 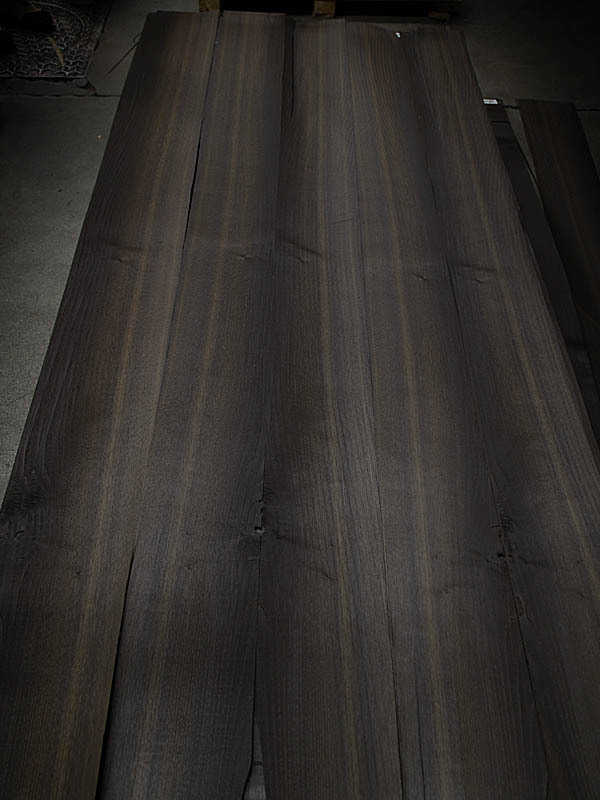 The company currently produces this reference just on demand, but some beautiful logs are usually available at CHANNEL VENEER´s warehouse. Due to the characteristics of natural chestnut logs, it is possible fo the company to provide wide widths. It is also not difficult to supply full lengths as those beautiful bundles shown above.